Most children get to live Halloween once a year. Not Heidi Anne, she got 3 days of Halloween - complete with a different costume a day. Every child's dream. 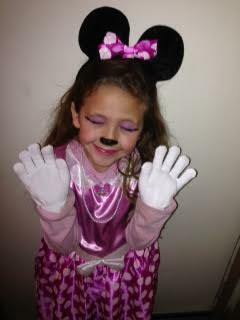 Heidi Anne's school Halloween party was today. 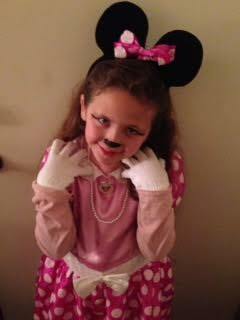 She went as Minnie Mouse. Her favorite part was getting makeup on. I had to get her brighter make-up since she's about 5 skin tones darker than me. My make-up doesn't even show up on her. The school had a parade that parents could attend. Unfortunately, I was having a bad morning sickness day and Rory was teething. 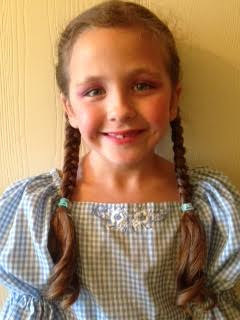 Yes, I meant to get a picture of her blinking so you could at least see the make-up job I did. Oh, and the nice touch of white gloved hands - very Minnie like. The day before Halloween all the stores on Downtown Main Street hold a Trick-or-Treat for the kids in the area. However, rumor has it they run out of candy so quickly. I don't normally believe rumors but once a variety of stores started asking for candy donations I knew it was true. I broke it to Heidi Anne that we wouldn't be doing the Main Street. Luckily, our church was doing a fun trunk or treat, which would more then make up for it. Until I had another horrible morning sickness day (apparently, I spoke to soon when I claimed smooth sailing in the post before this one). Anyways, a friend from church took her along where she had a blast. 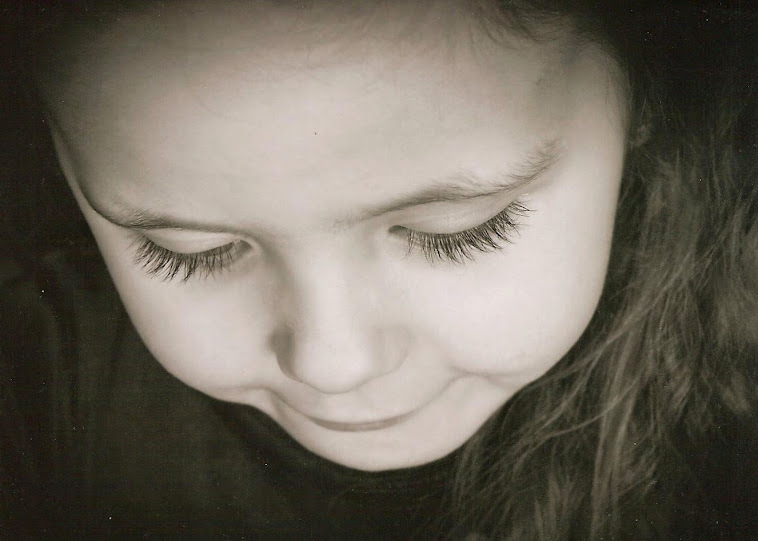 She wanted to be something different from the day before. Tonight's choice was (drum roll,please) a cowgirl. 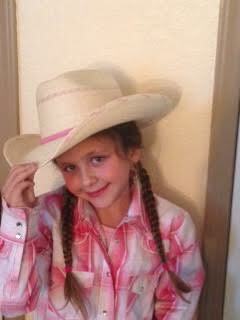 I know you're thinking comp-out, but she loves being a real life cowgirl. 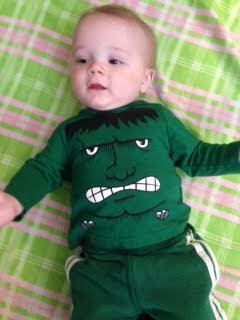 Oh, here is Rory slightly dressed up as Frankenstein's Monster. Yikes, there goes his outfit for tomorrow, no pictures are needed. This time Heidi Anne wanted to be Dorothy from The Wizard of Oz. 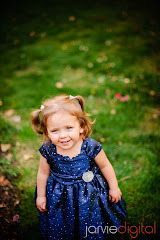 She wore a gingham dress that my Granny made for me when I was about her age. Her hair just doesn't seem to hold curls very well, nonetheless, I think it worked out. She got some special all to herself Daddy time. He took her around the neighborhood to trick-or-treat. Then she got to hand out candy to the kids who came to the house. She would say things in a higher pitched voice like, "What a lovely costume." Or "Oh my, who do we have here?" I believe she had more fun handing out the candy than getting it. Rory didn't go out this year. He developed a nasty cold and began growing tooth number 2. Besides, all of the candy he could have gathered would have gone to Heidi Anne, (who didn't need more candy.) 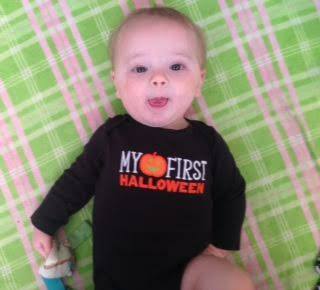 I still had to commemorate his first Halloween.